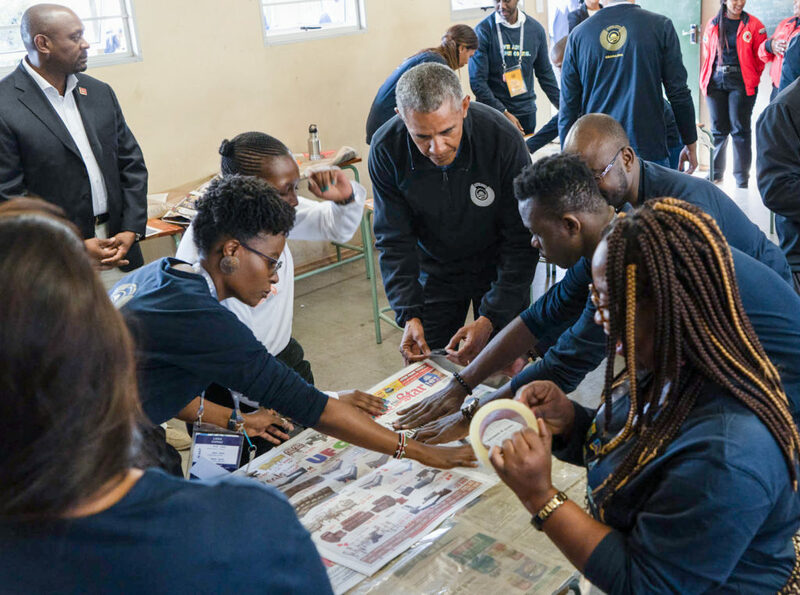 Earlier today, Chimwemwe John Paul Manyozo shared his reflection on his experience at the Obama Foundation Leaders: Africa program in Johannesburg, South Africa, on Wednesday, July 18. If you’d like to receive updates like these, you can sign up for our email list here. At the end of a day full of inspiring talks and a rewarding act of community service, I was left with one powerful thought: that we have a better chance to bring meaningful transformation to our countries if we harness the empathy that allows us to understand the needs of the people we serve. The seed of that idea began early in the day, during a panel discussion on innovation with Aliko Dangote, CEO of Dangote Group, John Collison, President of Stripe, and Trevor Manuel, former South African Minister of Finance. During the panel, Aliko Dangote emphasized the need for African countries to develop local industries to reduce their reliance on foreign imports. To catch up with the next wave of innovation, Africa had to develop its basic industries first, he argued. To accomplish that, governments would have to provide room for development through a more favorable policy environment. To create those kinds of policies, Trevor Manuel argued that governments needed smart people working at all levels. That is the only way to ensure enlightened policies are written that leave no one in society behind. John Collison talked about the power of self-belief for all people who wish to develop their own startups, and he shared his optimism that Africa can become the world leader in technological change because of—not in spite of—the unique challenges the continent faces. After the panel discussion, we heard from President Barack Obama himself, who took the stage to discuss the role we could play as young leaders in the future of our countries, addressing a reluctance some felt about getting involved in politics. The President argued that change cannot be made through politics alone, but that we cannot pretend that politics don’t matter. He urged young leaders considering political office to find ways to lead without selling out or losing sight of their goals. He finished the town hall with a profound piece of advice: “Worry less about what you want to become and worry more about what you want to do.” He said that people who only focus on advancing to the next level or position are often unprepared to deliver once they reach it, because the advancement becomes the end in itself. “You’re not just going to hop up the mountain in a day,” he said. “You’ve got to figure out, before you start looking at the peak, what are the paths.” People who focus more on what they want to do, regardless of the position, will do more to bring transformation to the lives of others, he argued. We ended the day with a service project in honor of Mandela Day on the 100th anniversary of the leader’s birth. We went to the Far North Secondary School in Johannesburg, where we painted a mural, made benches for students, cleaned windows and beautified the grounds. I was part of the group that worked on canvas paintings capturing Mandela’s values. As I was adding color to a canvas focused on the value of empathy, I took the opportunity to put myself in the shoes of the 199 other leaders around me. All of these young leaders were driven to be here today because they understood the feelings and needs of people in their own communities. 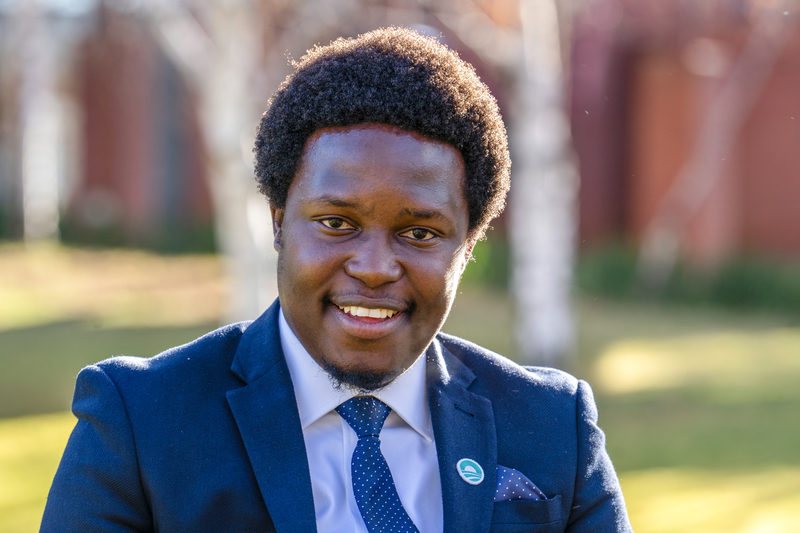 I’m going to take that spirit of empathy forward with me as I work to expand access to quality education in Malawi—and I know my fellow leaders will in their endeavors as well.